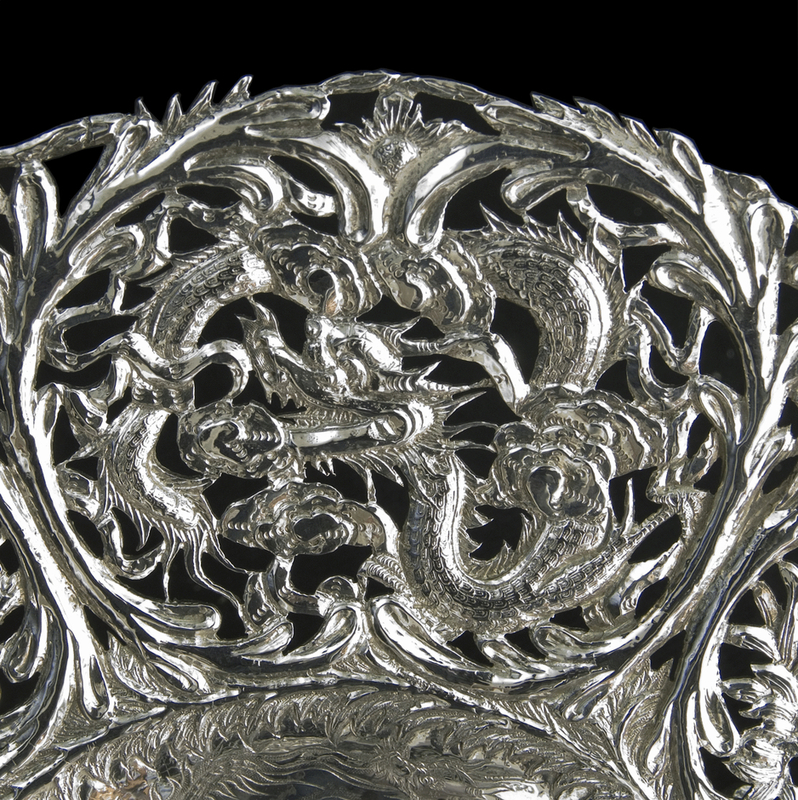 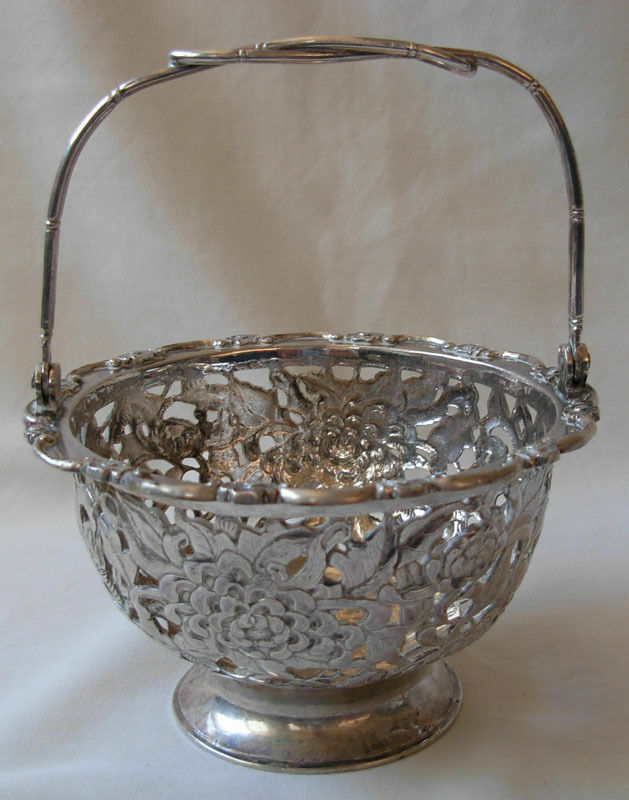 Initially in the 1600’s silver bread baskets often resembled the woven wicker design of the natural wood baskets. 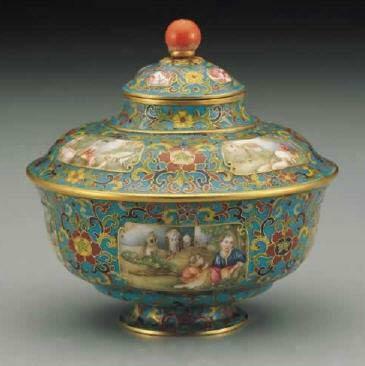 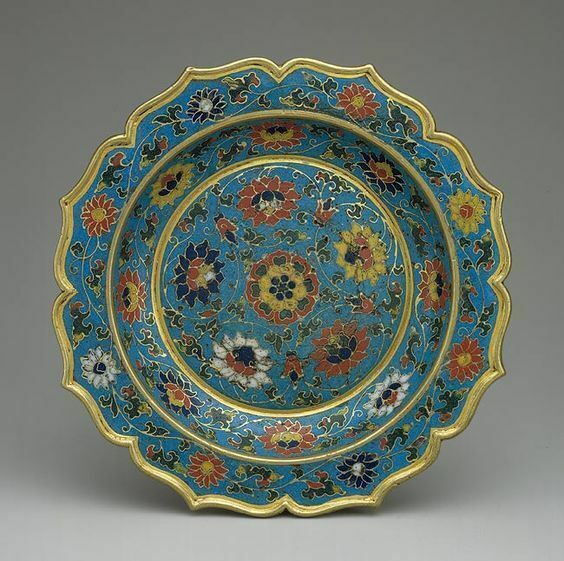 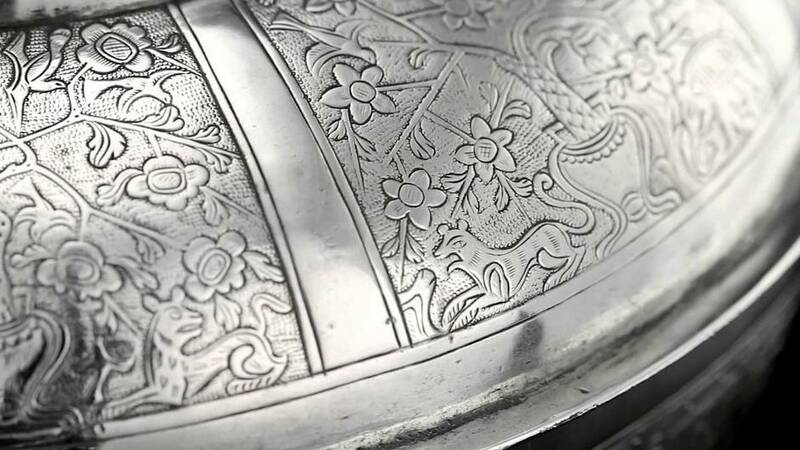 Designs developed in the early 1700’s and baskets were crafted with pierced and chased decoration embellished with acanthus leaf, shell and foliate designs. 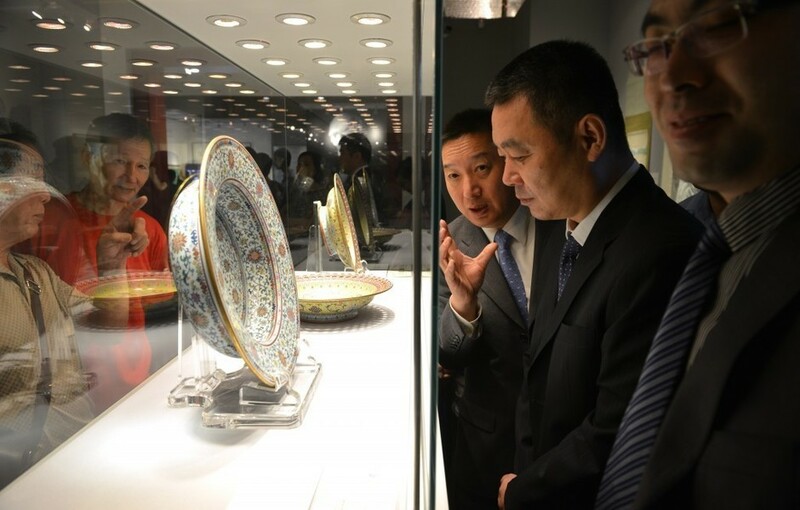 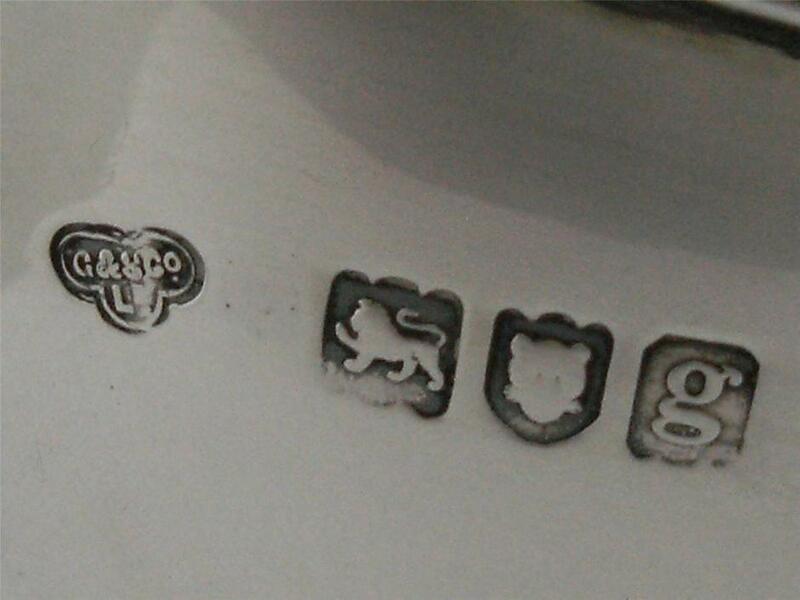 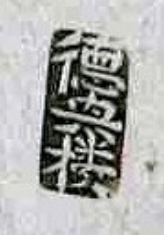 Masks, such as maiden’s head, lion or ram’s heads were incorporated in handle designs. 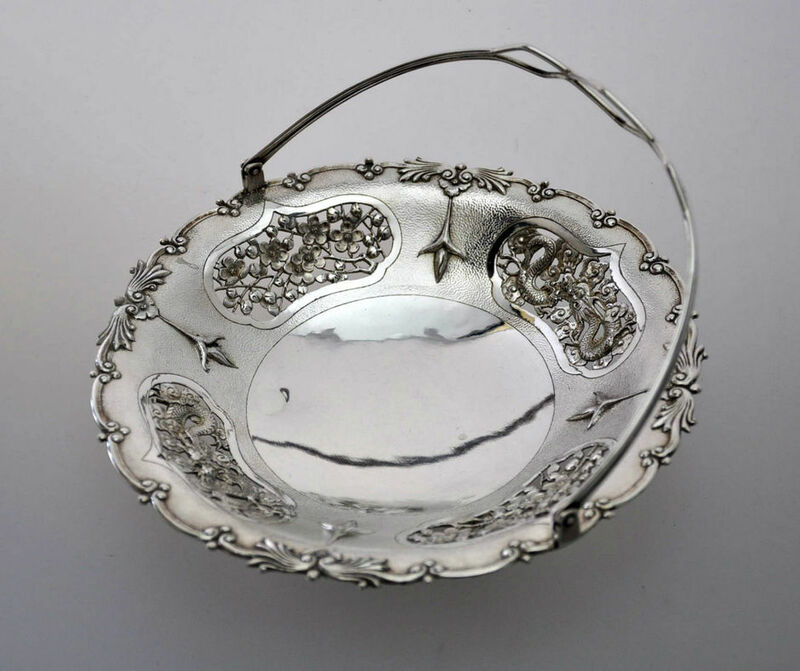 By the late 1700’s, under the influence of neo-classical design, baskets were replaced by lighter more delicate forms which were die-stamped and fly-pierced or made from silver wire. 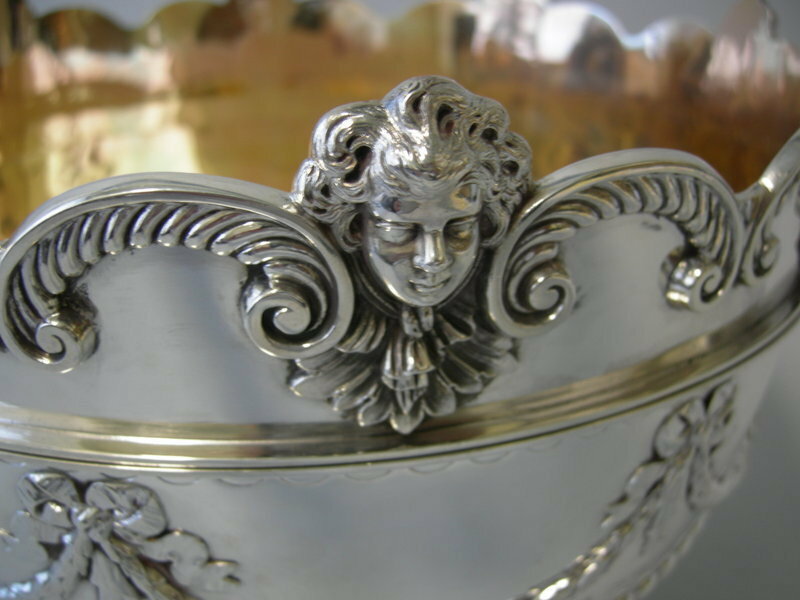 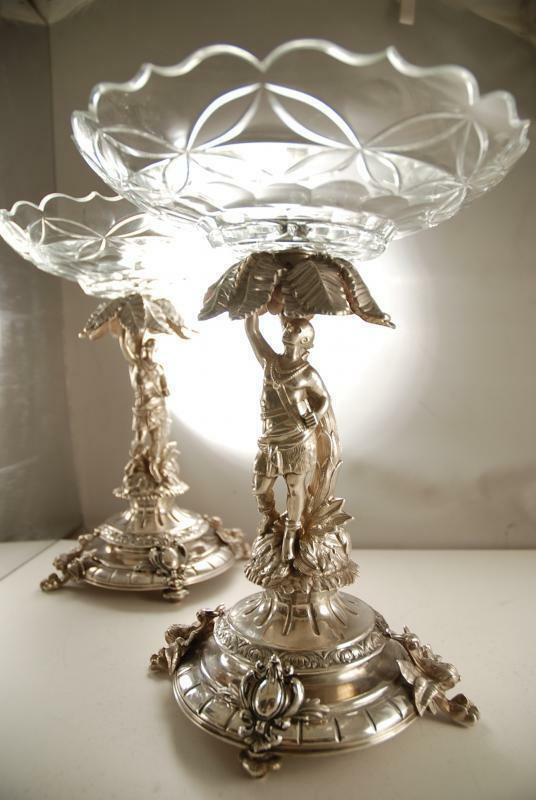 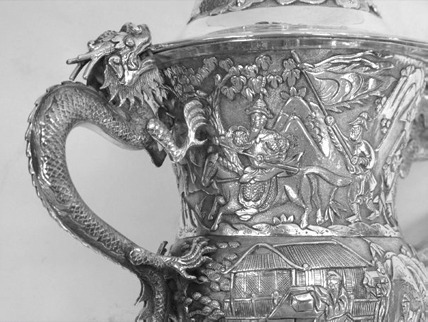 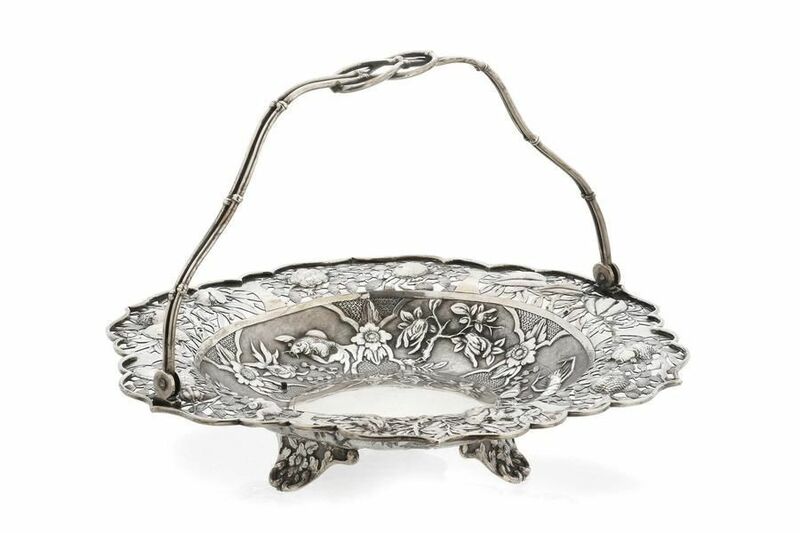 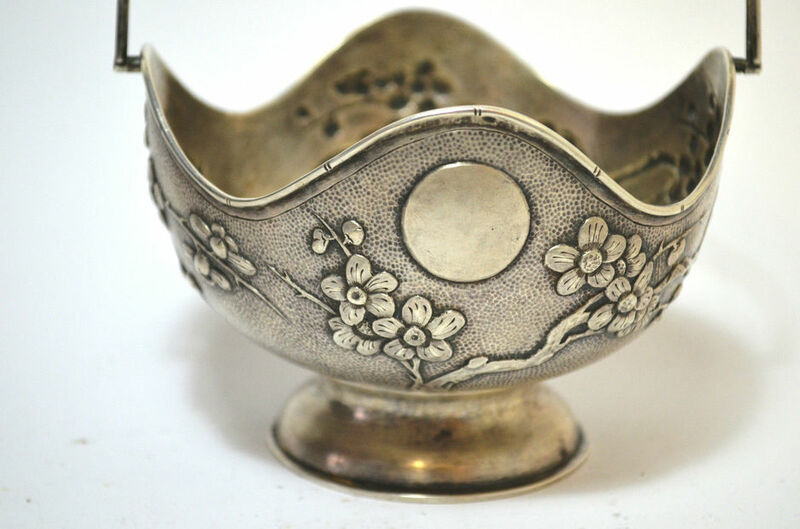 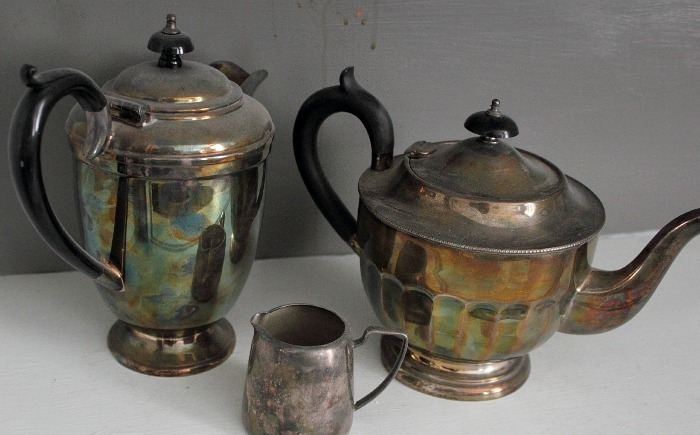 With changing menus and eating habits, not only were silver baskets used to hold bread, but more ornamented baskets,often with swing handles were used from the 1800’s to serve cakes,sweetmeats and bon bons.